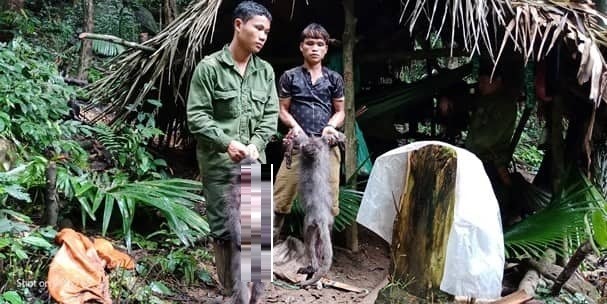 Police in Nghe An Province have arrested a group of hunters who shot dead two langurs in Pu Mat National Park, Nghe An Province. "We co-operated with Tam Quang border guards to arrest the men on January 11. We transferred the case to the police in Con Cuong District two days later," Tran Xuan Cuong, director of Pu Mat National Park said. 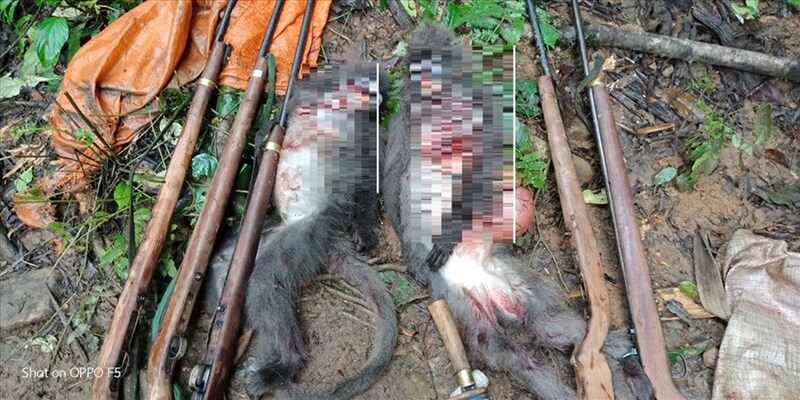 They arrested five men and seized five guns along with the bodies of two langurs, one boar and different types of traps. The men are all from Lien Huong Village, Tam Quang Commune, and will face one to five years of imprisonment or VND500m (USD21,500) to VND2bn in fines. The bodies of langurs have been taken for species identification tests. "Based on my experience, I can tell that they were Phayre's langurs," Cuong said. Phayre's langur is an endangered species and protected under Resolution 160 about rare and endangered species prioritised for protection. It is a species found in Southeast Asia, mostly living in the trees and feeding on leaves of a large number of tree species. They are brownish-blue in colour with white hair around the eyes and mouth. The baby langurs have brownish, yellowish colour until they are three months old.